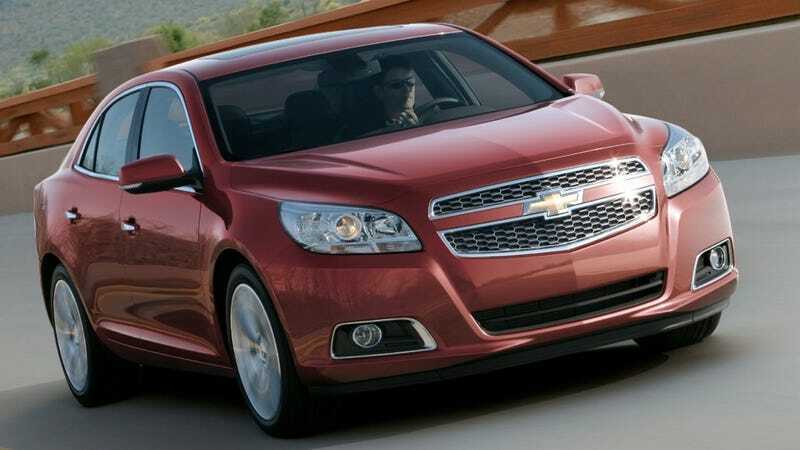 Yup, that's the 2013 Chevy Malibu. And despite some initial level of excitement over the teaser image showing off the new 'bu's taillights, we're now completely bored by this shot GM's own media site accidentally leaked last night. Although the original image is now down off the media site — attached to a press release on the Malibu-and-I'm-through-with-you getting an online reveal for the Shanghai Motor Show this week — it wasn't down fast enough for every auto forum and little car site on earth to run it. Sorry GM, guess today's afternoon backgrounder will be all for naught!